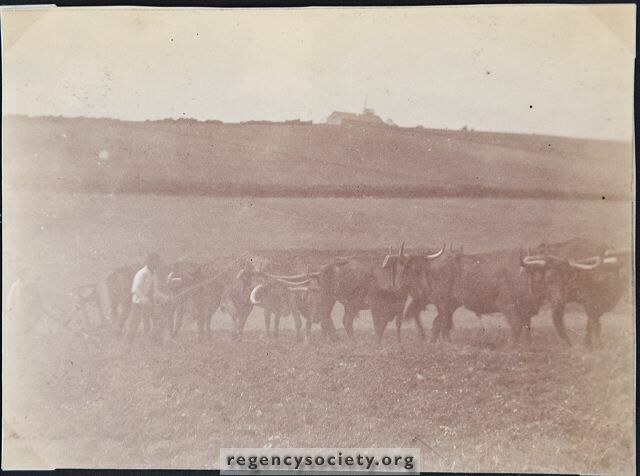 These photographs, taken on 9 June 1890, show a part of the extensive Hangleton Farm which in those days extended from the Church down to the Old Shoreham Road, and westwards to the ridge which is now Foredown Drive, Portslade. The land in the foreground is now part of the West Hove Golf Course. On the ridge can be seen a glimpse of Hangleton Mill, while the long hedge is there to this day.